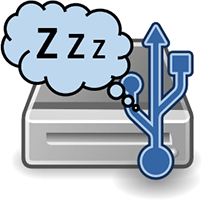 On Windows machines hard drives automatically sleep and spin down when they are not in use. This theoretically extends the life of your USB or SATA hard drive. On Linux systems you often have to configure power saving parameters for your hard drive manually. 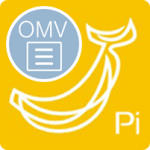 For the little Raspberry Pi and its relatives (Banana Pi, Orange Pi, Beaglebone etc) there is an array of programs that will assist you. 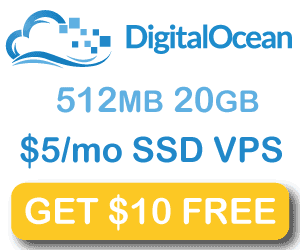 Which program will work for you depends on the USB to SATA controller you have and the hard drive itself. I have included guides for hdparm, hd-idle and sdparm which should cover most users wanting to manage hard drive power consumption on the Raspberry Pi. I recommend using hdparm or hd-idle and using sdparm as a last resort. I tested these guides on Lubuntu, Raspbian and Minibian and should work on any Linux Debian/Ubuntu based system for devices like the Banana Pi, Orange Pi, Hummingboard, ODROID, Cubieboard and Hummingboard devices. Do update your repository list before installing any of these programs, you only need one to work so make sure to remove the others if they are not compatible. Make sure your drive supports hd parm, if you have multiple hard drives it could be /dev/sdb or /dev/sdb – the command blkid will show you all disk drives connected. If you see a * (asterix) then you are good to go. Values between 1 and 127 allow spinning down of the hard drive. The spindown_time value is multiplied by 5 and you have the total time in seconds. So a value of 120 yields 10 minutes (120*5=600). By default hd-idle will spin down drives ever 10 minutes which should be sufficient for most users. Listen carefully, if it starts spinning up again immediately then you are going to need to find another option. Some users have had success with autofs for mounting and using the eject command. If the hard drive stays stopped add the cronjob below. Now we can set up a cron job to ask the usb hard drive to spin down ever hour at 5 past. This will run as the root user. /dev/sda is typically the first hard drive but you may have others, you will have to add additional cronjobs for /dev/sdb or whatever else you find by using the blkid command. Now your Raspberry Pi device will spin down your usb hard drive to save power and hopefully extend the life of your hard drive.